England head coach Eddie Jones has named a 23 man squad for this weekend’s Six Nations Championship match against Ireland at Twickenham on Saturday. England lead the Six Nations standings after beating Scotland and Italy away so this will be England’s first match at home in the tournament. While England are level with France on four points they have a preferential points difference. Ireland are the current champions but are in fourth place with one point from a draw with Wales. 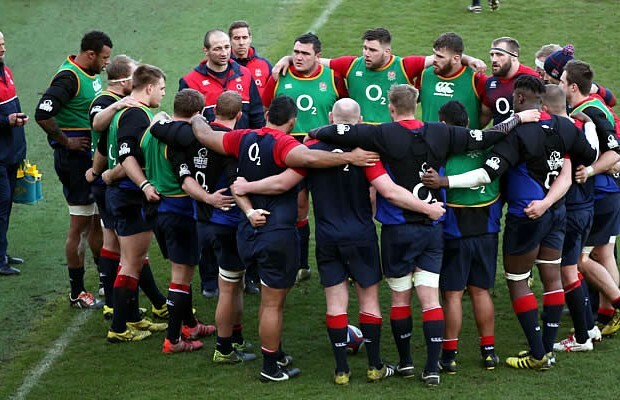 England coach Jones said that he is pleased with the way the squad have trained since their victory over Italy. “I have been pleased with the hard work and attitude the squad have shown since Italy,” said Jones.